Kevin Barry presents our regular summary of the recent global market action. 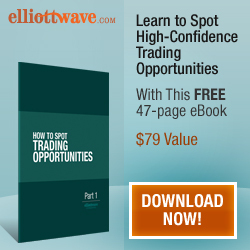 The current market conditions are proving difficult for even the most experienced traders. All the more reason to visit us at the World Money Show, which takes place at the Queen Elizabeth II Conference Centre in London on November 2nd and 3rd. Back by popular demand, Jeff Boccaccio, Paul Wallace and Kevin Barry will be participating in the Investment Clubs Day special event happening at the Show. Would you drive without a license? Probably not, but many people are trading the markets without understanding the rules of the road followed by successful traders. Advances in technology and lower costs of entry have made the markets so accessible that people often get carried away and jump into the driver�s seat without understanding some simple rules that can make all the difference. Jeff Boccaccio of the Traders & Investors Club will be guiding you through his Five Rules Of The Road that you must follow in order to ensure you keep your capital safe and position yourself for success. Jeff will also reveal how trading alongside lots of unlicensed participants can actually work to your advantage. Of course, everybody cannot outperform the market because everybody is the market, but an investor armed with a methodical approach and the right tools will certainly stand a better chance than the random stock picker. Warren Buffet has said that a rising tide lifts all boats. This apparently innocent remark provides us with a clue to one of the most successful, yet least understood, trading strategies of all time, namely External Relative Strength Analysis. It is widely accepted that just 20% of the performance of an individual stock can be attributed to the fundamentals of the stock itself. 30% is dependent upon the health of the stock�s sector or industry whilst the remaining 50% is down to the movement of the market as a whole. You can see this phenomenon in action for yourself; how many individual shares do you notice going up during a severe market correction? In this presentation, Kevin Barry of the Traders & Investors Club will be sharing his techniques for identifying the strongest stocks in the strongest sectors helping to ensure that you will be riding the stallions and not the mules. Jeff Boccaccio and Paul Wallace of the Traders & Investors Club and Dave Gaskell of the Rolling Stocks Investment Club will be discussing their current investment strategies and how they have adapted their portfolios over the last year in order to incorporate their expectations for the year ahead as the global economy stagnates amidst uncertainty in Europe. We look forward to seeing you on the 3rd. Warren Buffet has said that a rising tide lifts all boats. This apparently innocent remark provides us with a clue to one of the most successful yet most underutilised trading strategies of all time, namely Sector Rotation using External Relative Strength Analysis. 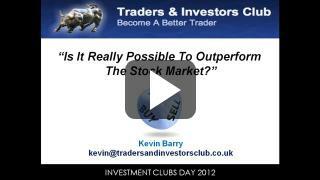 This presentation was originally delivered by Kevin Barry of the Traders & Investors Club at the World Money Show in London in November 2012. 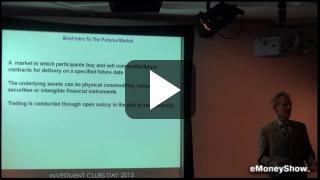 This is a recording of the presentation delivered by Kevin Barry at the World Money Show in London on 10th November 2013. In this presentation, Kevin discusses how he uses the Commitment Of Traders report as part of his arsenal for trading the FX market. He demonstrates why he thinks that the COT Report is currently signalling a medium to long term decline in the EURUSD. A link to the slideset is below. Please excuse the poor audio quality of the presentation.